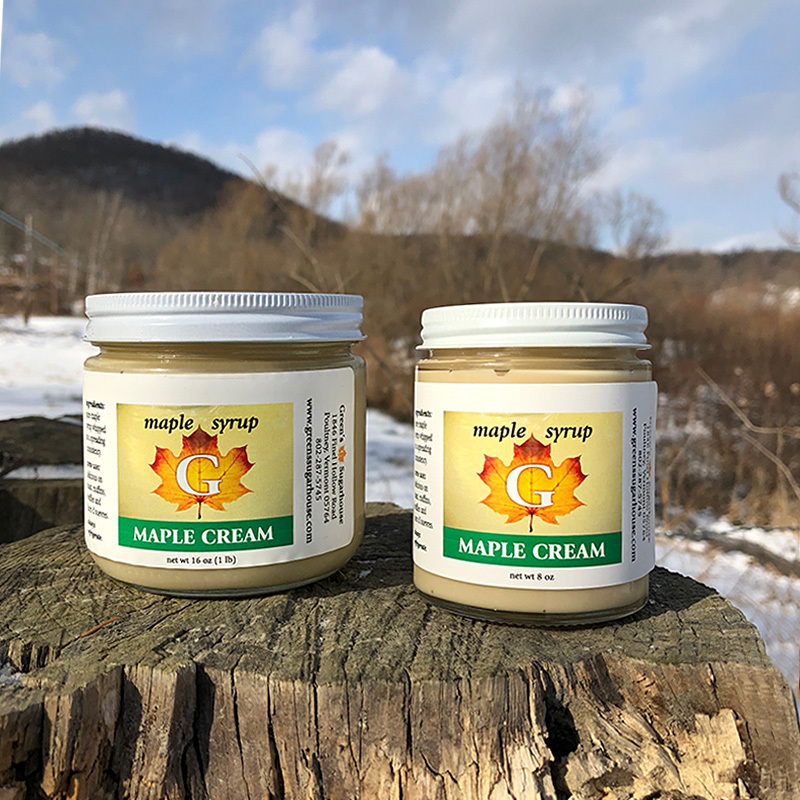 Maple Cream is similar to a frosting consistency and is absolutely delicious on toast, muffins, waffles, or on warm cinnamon buns and hors d’oeuvres. Our Maple Cream is a single ingredient product made from boiled down 100% pure Maple Syrup. This process makes the once syrup into a thicker, yet spreadable product. We also suggest trying it in your coffee and tea as an all natural, healthful sweetener! Storage tips: Store in refrigerator, even before opening. Travels well out of refrigeration for about a week. Separation of some syrup in the cream is natural, just stir before each use. Cream can be frozen to keep longer. It will not separate while frozen. Never microwave as it will melt back into syrup.